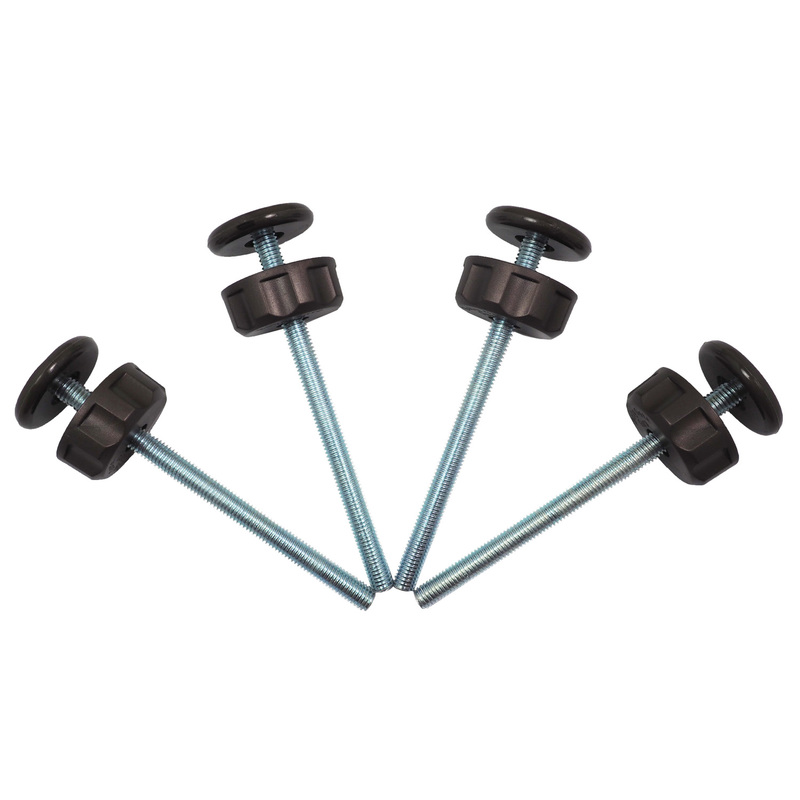 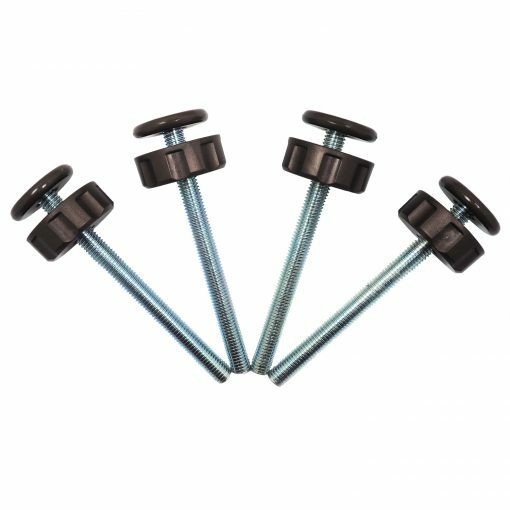 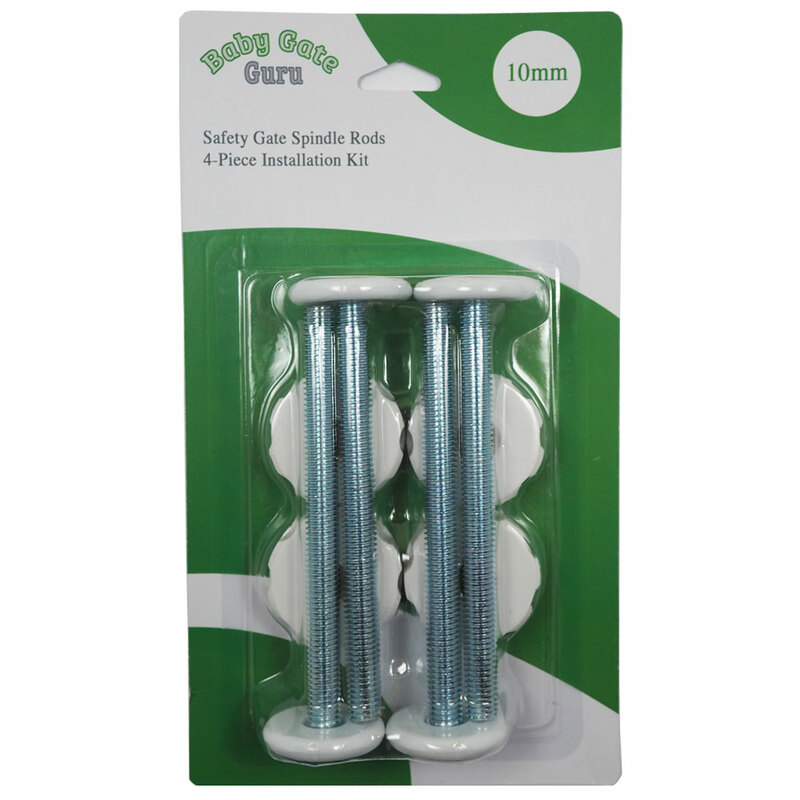 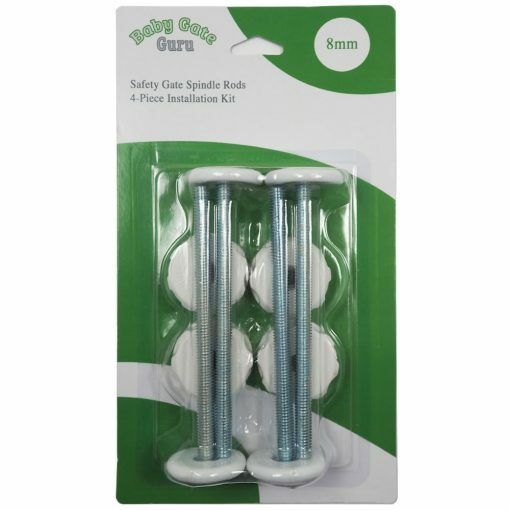 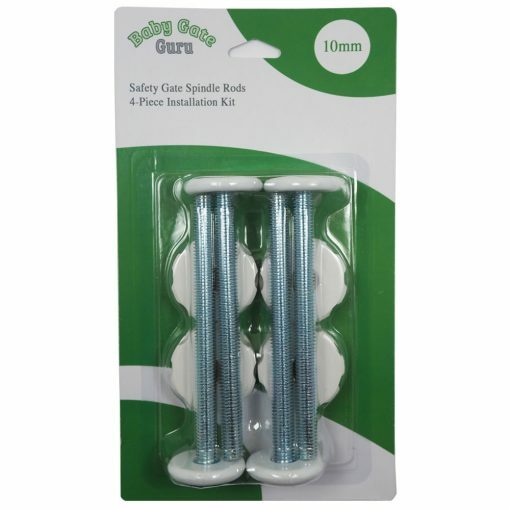 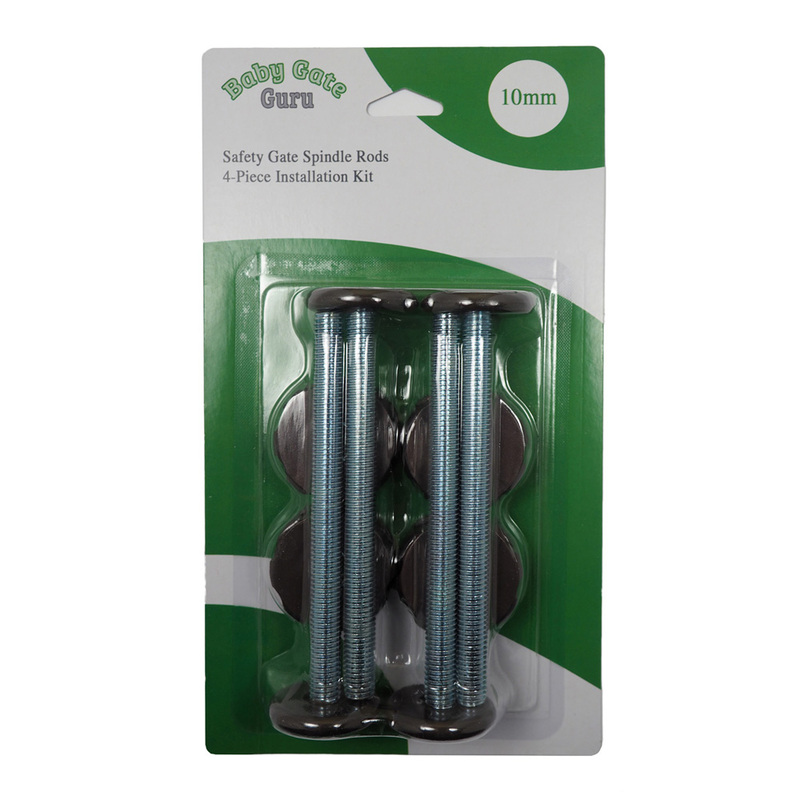 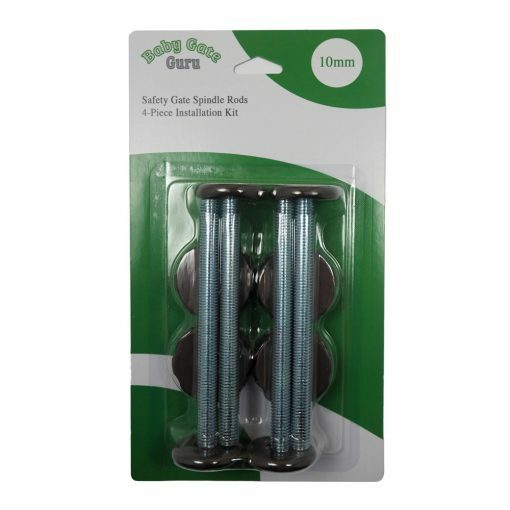 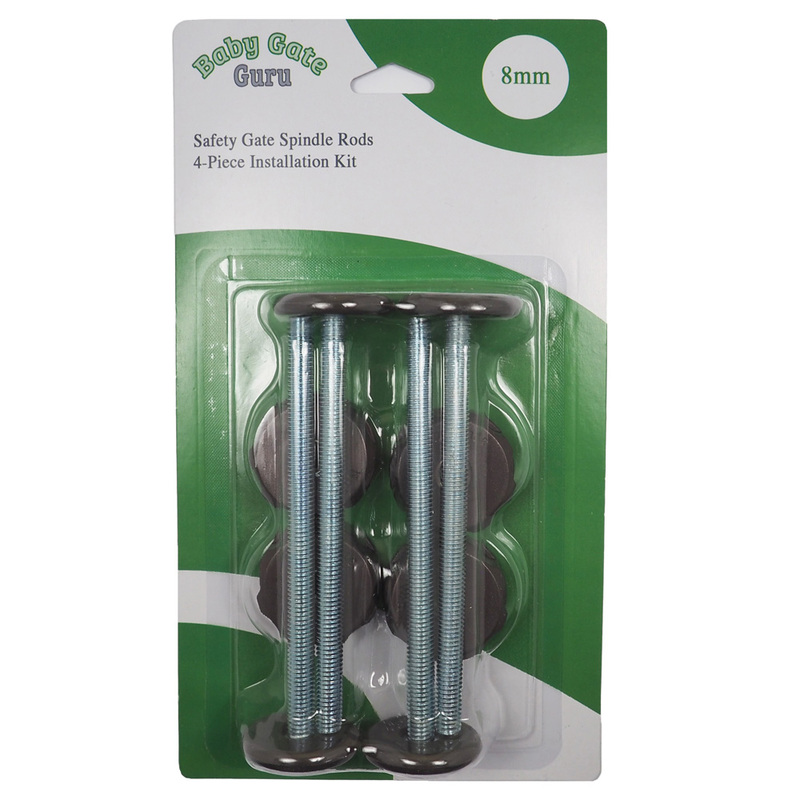 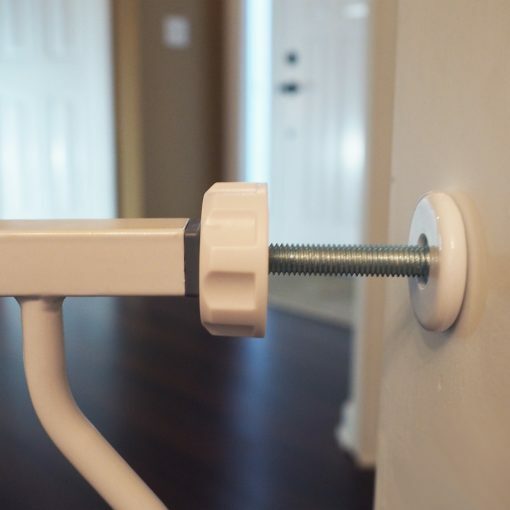 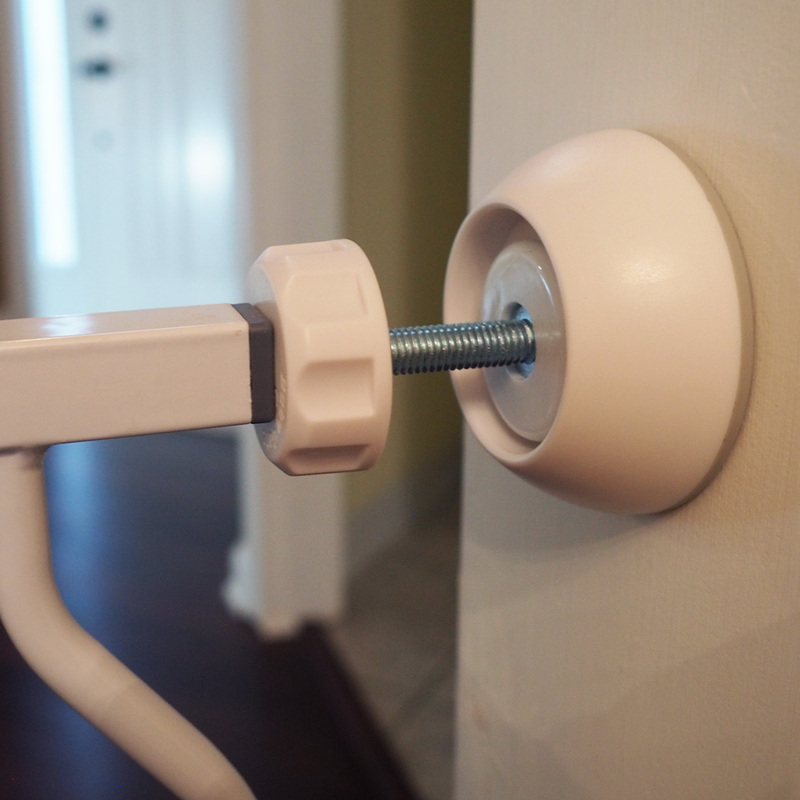 This 4 pack of pressure gate spindle rods from Baby Gate Guru is designed as a replacement kit for lost or damaged spindle rods, the threaded bolts that push against the wall to hold the gate in place commonly used in walk through pressure mounted baby and pet safety gates. Available in 2 standard sizes, M8 or M10, to fit your model of safety gate. 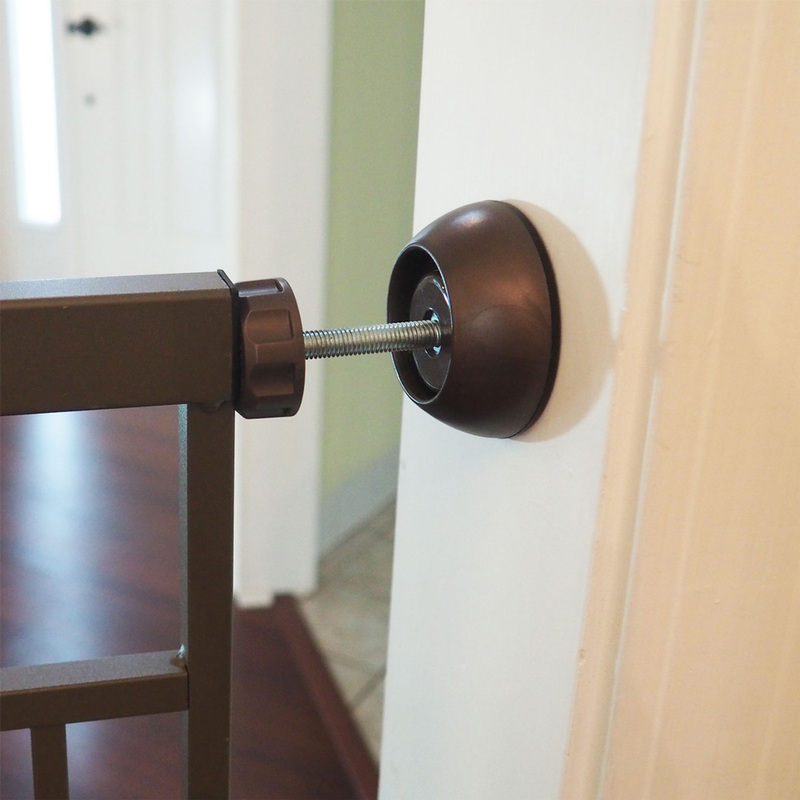 M8 fits gates with an 8mm diameter opening. 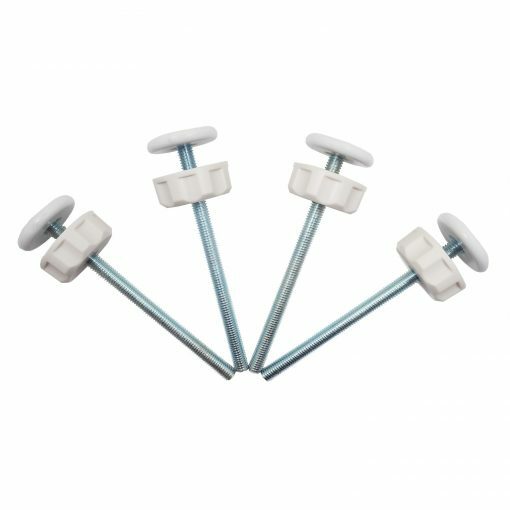 M10 fits gates with a 10mm diameter opening. 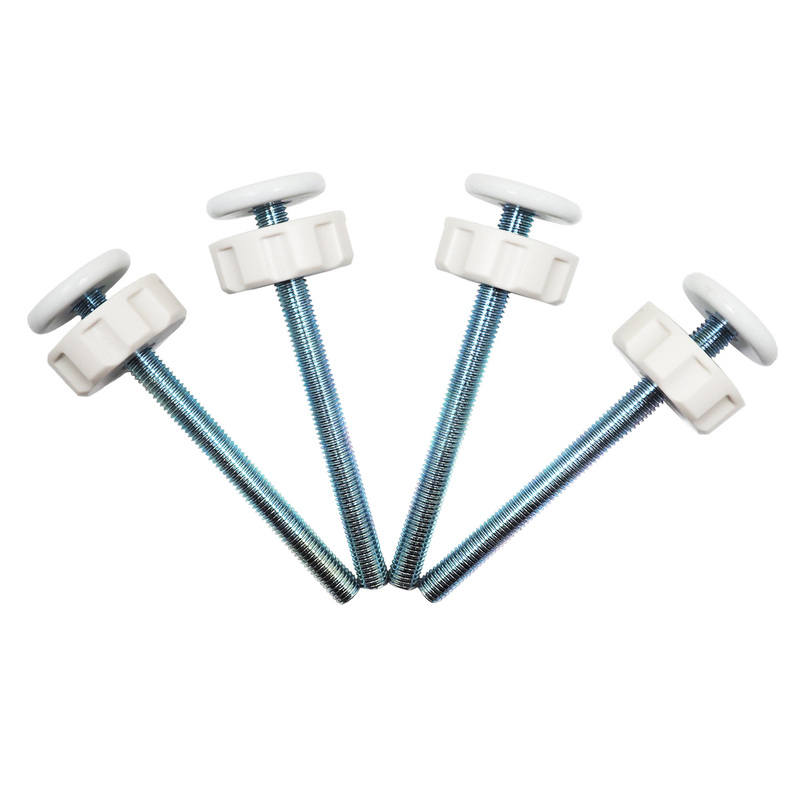 Also available in 2 colors, classic white or elegant bronze, to help match your gate and fit your existing home decor. Extra long threaded bolt measures 12cm (4.7 inches) long, which can extend the reach of your gate or help achieve a sturdier fit. 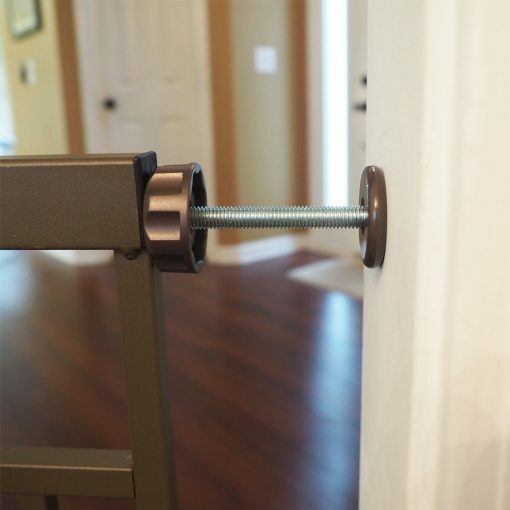 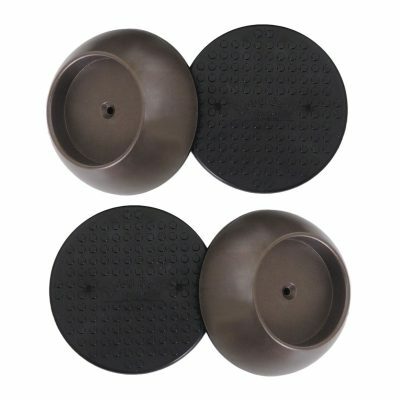 Adjustable to the length you need using the included adjustment wheels, this tension gate accessory serves as a stylish and functional replacement set for misplaced safety gate hardware.